Both in its culture and in its ability to prepare students for college, Wellspring Prep is anything but typical. Located only a couple miles from the heart of downtown Grand Rapids, Wellspring Preparatory High School is tucked just off the beaten path on the city’s northeast side. The school opened in fall 2010 with only a freshman class, taking time to make itself known. Its 470 students comprise a healthy mix of ethnicities, cultures and family incomes. About 70 percent arrive from four of the region’s National Heritage Academies K-8 charter schools. Just over half are racial minorities, and nearly half qualify for federal lunch aid. This diverse population attracts some families, but Wellspring Prep’s rigorous academics and emerging track record of postsecondary success are becoming more prominent in the mind of prospective pupils. Wellspring Prep earned the ninth-highest score out of 640 schools rated on the Mackinac Center’s recent Public High School Context and Performance Report Card, which adjusts multiple years of 11th-grade test scores for student poverty rates. Even as the Grand Rapids charter school’s low-income population grows, it has continued to exceed expectations. “We make every decision based on college prep,” Principal Matthew Stolz explained. Every Wellspring student is required to apply to a four-year college, with the class’s acceptances and scholarships publicly celebrated. Three in four graduates end up at a four-year institution, with the rest attending community college or pursuing a trade. Along the way, students must complete two of the school’s 15 Advanced Placement course offerings and three electives, in addition to the state’s Michigan Merit Curriculum requirements. The school’s curriculum is consciously aligned with the SAT, a recent transition after the state shifted from the ACT to the SAT as the required college readiness exam. Before graduating, everyone must also complete 60 hours of community service. Many different kinds of activities are accepted. “We just want them to think about, and spend time on, someone else,” said Stolz. 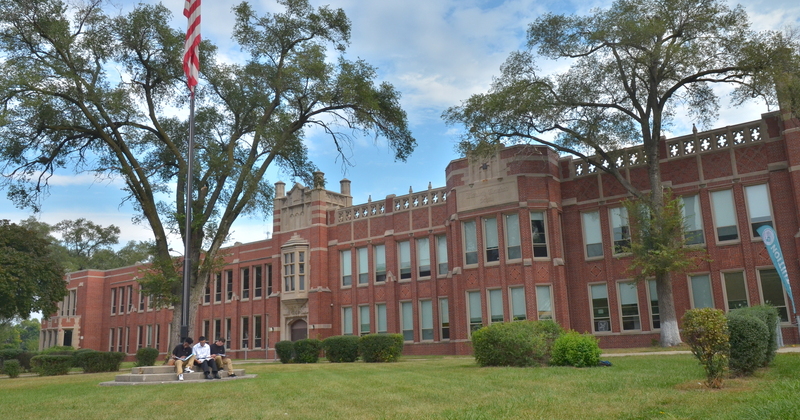 Wellspring Prep is one of five Michigan charter high schools affiliated through their relationship with the PrepNet network. The management company provides back office support, managing payroll and other business functions to free up school leaders’ valuable time to focus on overseeing instructional programs. Two different PrepNet staff members, each of whom is on campus one day a week, offer curriculum guidance and teacher professional development. As in many charter schools, instructors tend to be younger and less experienced. But the school and its supporting organization have a strong focus on upgrading classroom effectiveness. They use Doug Lemov’s bestselling “Teach Like a Champion” as an essential text. “We develop great teachers very quickly because of the amount of observations and feedback,” said Amelia O’Brian, PrepNet’s director of curriculum and instruction. As the school has become more established, early challenges with turnover have gone away. Only one new teacher was needed to fill the spot on Wellspring Prep’s 2016-17 faculty. Multiple years of highly effective evaluations trigger larger pay raises. But keeping teachers on staff is about more than just dollars and cents. Just as Wellspring Prep strives hard to raise teacher quality, it also invests resources into working with students who come in behind academically. A team of paraprofessionals paid for by federal Title I dollars is largely dedicated to that. The high value placed on academics has not crowded out extracurricular opportunities. A program known as “Monday Electives” provides additional opportunities for students to pursue their interests with the support of teachers, such as creative writing, National Honor Society and Third 90 Network’s hands-on environmental research. While athletics are not the primary emphasis, students can participate in sports in each of the fall, winter and spring seasons. The campus is also proudly adorned by a new gymnasium and soccer field. School leaders report that Wellspring Prep’s relationship with its authorizing agency, Bay Mills Community College, has grown stronger in recent years. Following its success, the school anticipates a renewal of its charter in the coming months. Its unique blend of curriculum focus, teacher development and wrap-around services appears to be a recipe for success for Wellspring Prep. It’s no surprise families are flocking to one of the state’s best public high schools.